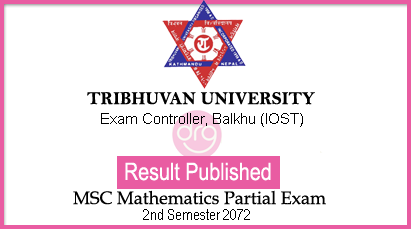 On 28 February, 2018 [16 Falgun, 2074], Tribhuvan University (TU), Institute of Science and Technology (IOST), Office of the Controller of Examination, Balkhu published the result of M.Sc. Mathematics 2nd Semester 2072 group partial examination. 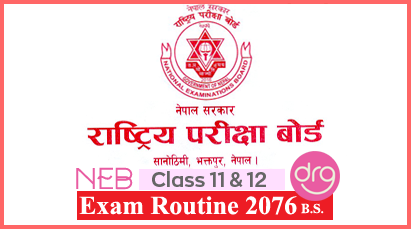 The examination was held on Poush 2074. 0 Response to "Check Result Of M.Sc. 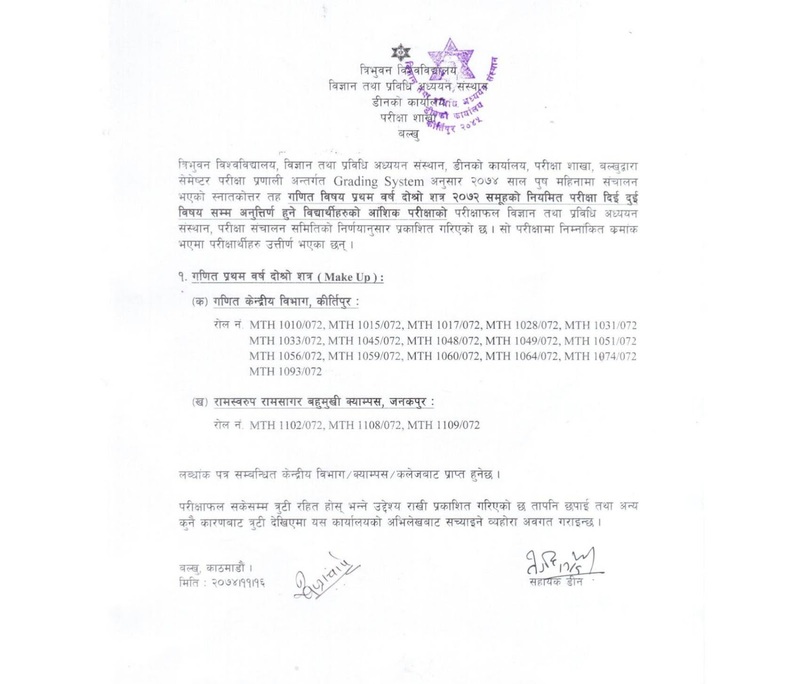 Mathematics 2nd Semester 2072 | Partial Exam | Held On 2074 | Tribhuvan University"